Provide comfort for the family of Cindy Kane with a meaningful gesture of sympathy. 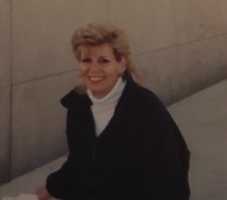 CINDY KANE (nee Bryan), age 66, passed away peacefully on February 23, 2019. Devoted wife of the late Charles Kane. Loving mother to Melissa Lintner and her wife Diane and Christianna Armstrong and her husband James. Beloved grandmother to Sadie and Molly Armstrong. Dear sister to Barry Bryan, Michael Bryan and the late William Bryan. Cindy enjoyed reading, sewing and crafting, but she mostly loved spending time with her grandchildren; they were her world. Services and burial will be private. Share memories at www.DiGiacomoFuneralHome.com.